← WTF! Will ‘(T)ERROR’ Be Seen? This year, the theme of the festival was migration. I knew from my prior trip that young Kosovars have a real challenge in getting visas to travel outside of the central Balkan region. As I traveled through the Middle East and Greece in the weeks leading up to the festival, I saw for myself that the theme was not only relevant locally. Migration is a global issue, currently reaching a crisis level. On opening night, a sell-out crowd of over 400 settled into the beautiful outdoor Kino Lumbardi for “Those Who Feel the Fire Burning,” directed by Morgan Knibbe. 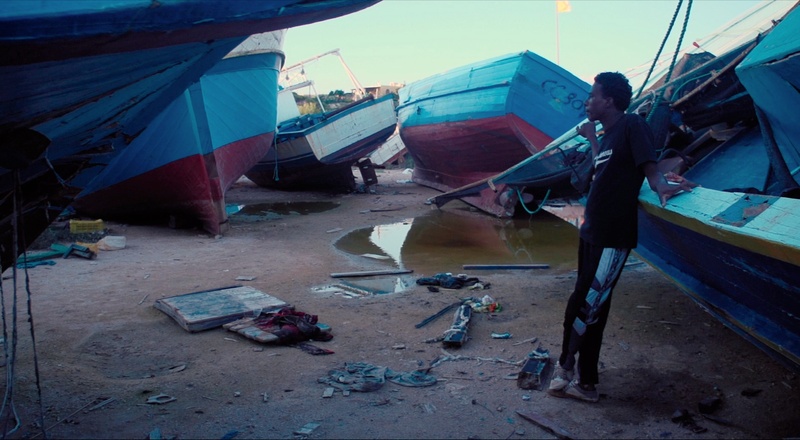 The film is an immersive genre-defying cinema poem on the challenges faced by refugees who successfully reach Greece, but struggle to make a life for themselves there. In line with what Berisha told me, this is not reportage, but cinema as experience. I am often critical of radical departures from tradition. Wild camera movements and fractured structure need strong motivation. That is exactly the case with Knibbe’s opus. This is a film about disorientation and existential angst. It is highly effective and a profoundly appropriate choice for the opening film of a festival with with the theme of migration. The migration theme is also explored creatively in the branding work of long-time festival collaborator, British filmmaker, Daniel Mulloy. Mulloy is no stranger to creative risk-taking, and this shows in the trailer and artwork for the festival. This beautiful short film, “Birds Can Fly. Why Can’t I?” is worth a watch (below). In the vein of the mini-films directed by Jarred Alterman for True/False (to which DokuFest feels like s sister festival in many ways), Mulloy not only defies convention, he openly mocks it with faux natural history narration. This brilliant short film is ostensibly on one level about the Arctic Tern – the planet’s longest migrating bird. Borrowing conceptually from “Exit Through the Gift Shop,” the stodgy British natural history narration is a send-up. “But we are not Artic Terns . . .” In the end, the “joke” here is deadly serious. The clear message of the ultra-creative trailer is that freedom of movement is a human right and without it, human survival is imperiled. The sense the trailer gives us is that the greatest truths are represented when the biggest creative risks are taken. The identity art this year (creative direction also by Mulloy) features bold, bright colors and images: a neon pink school bus, a sky-blue steam ship, “I ? Visa” in hand-written letters . . . but look closer. This sing-song, child-like treatment belies a deeper truth. The background is inlaid with skulls and crossed rifles; playfully creative, deadly serious. The DokuFest programming is eclectic and wide-ranging. With six competition sections and nearly twice that number of special programs, it is also expansive: a blend of the best from the world’s festivals plus a unique local flair. Though I only saw a fraction of the films, once again, creative treatment with a serious message was often (if not always) on display. Two standouts of the feature documentary program overtly utilize the camera as witness to some of the darkest places of the human psyche. “Pervert Park” and “Of Men and War” are both difficult films – not “feel-good,” as we say. However, there is something undeniably important in both the struggles of soldiers trying to overcome PTSD and the stories of perpetrators (who are all also victims) of sexual violence. What makes these films innovative is that the filmmakers and subjects both seem aware of the meaning of the presence of the camera. This is not the oxymoronic “fly on the wall.” This is testimony of deepest pain, given to the public in the hopes that it can help others. Another standout for me was the winning (fiction) short “Listen” by Hamy Ramezan and Rungano Nyoni. To me, short films are like short stories – they should have one idea, and nail it. In this regard, “Listen” is a powerhouse. I also like films that are truly pieces of cinema – stories that depend on the form and could not work in any other way. I’ll not say more about “Listen” for fear of giving it way, but see this short if you have the opportunity. And it goes on and on: experimental Croatian cinema, special programs on human rights and the environment, a spotlight on Balkan Dox and two innovative programs of American cinema expertly curated by programmers who are in attendance to introduce every film. Like any quality festival, it is pleasantly overwhelming. It would take another article entirely to cover “Dokunights,” the concert-dance party that takes place every single night of the festival and attracts young people from around the region (some of whom I suspect don’t see a single film). Along with the films and the music, there is also an abundance of good company. Perhaps more than any other festival I have attended, the participants also feel curated. It is a mix of filmmakers, programmers, critics and film-lovers from around the world. DokuFest is a great place to get to know people. The coffee in Kosovo is excellent and the bars don’t close until the last person stops drinking (often well after the sun rises and the call to prayer echoes through the valley). My story of having come with a specific role in the past, and now returning to experience DokuFest again was far from uncommon. This is the mark of a truly exceptional festival. Ostensibly, I came to understand something. I wanted to make an empirical case that DokuFest has made an indelible mark on Kosovar culture. Observationally, that is certainly the case. The festival is well known throughout the country and throughout the region. Consequently, the world of documentary is known in a way that it isn’t in America (especially among young people). Then there are the inspirational success stories: the festival staffer who leaves to open his own bar in Prizren, and now has a larger upscale tourist bar in the capital; the interpreters who head up the massive project to translate every film into Albanian, and now have a stand-alone business doing this service beyond the festival. Five years ago, the town of Prizren did not have a year-round cinema, now one shows first-run features on a nightly basis, and there is Kino Kubli, a new art house screening space. Just in the last week, the festival organizers were awarded a new grant to renovate the majestic Kino Lumbardi and execute a long term plan to convert it into a permanent cultural center. The empirical case for a difference-maker is strong, but the fact is we don’t know what a Kosovo without DokuFest would look like. Moreover, without DokuFest, I would not personally know anything about Kosovo at all. 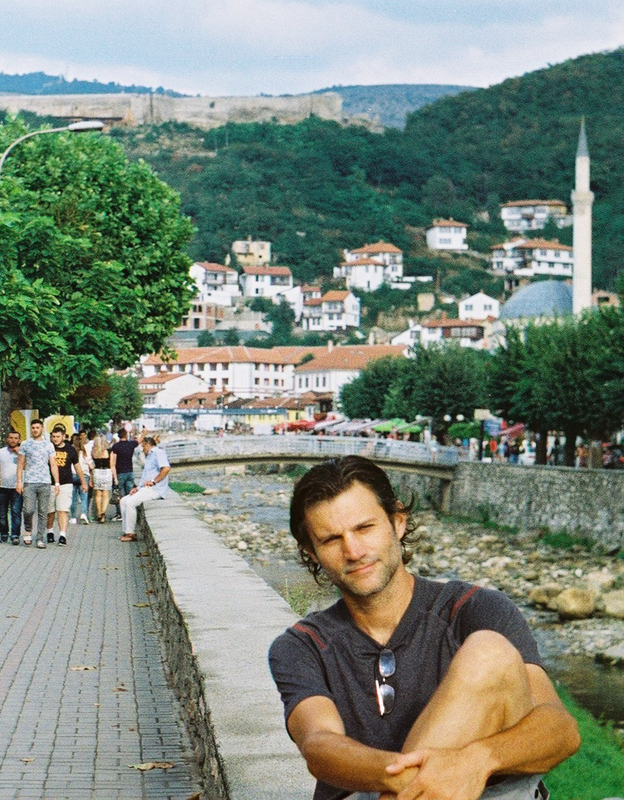 I returned to Kosovo to try to put my finger on something that felt different and special. I wanted to understand something that felt familiar, but somehow grander than the experience of documentary that we have in the U.S. What I learned is that we are more similar than we are different. We seek out documentary and independent film for the same reasons in Prizren as we do in Washington D.C. The reasons are different, opposite in fact, than why we go to the latest comic book adaptation or James Bond retread. Documentary cinema does not take us on a journey of escape. It takes us somewhere real, somewhere authentic and somewhere true. This is why I retuned to Kosovo, and this is why I will be back again.